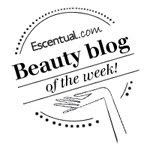 As the colder weather approaches a hand cream is a must to combat the drying effect and to keep cracked, flaky hands at bay, although for me personally a hand cream is a staple in my beauty regime all year round. I have mentioned before I have hand creams everywhere! I always, without fail, apply hand cream before I go to bed and this award winning hand cream from Balance Me is the one that comes with me to bed. Multi-award winning and seriously rich, our cream has been formulated to leave even the driest hands smooth and soft to touch. Our unique and uplifting blend of renowned ancient skin conditioners (benzoin and yarrow) shea butter and sweet almond oil work together to really turn back the clock on hard-working hands. Also includes the essential oil Patchouli (calming) Indonesian kukui nut oil for supply skin and skin smoothing carrageenan gum. Ultra effective and seriously smoothing. This hand cream is quite thick to apply, you will only need a little as it goes a long way and it absorbs fast with no greasy finish. Skin looks plumped and smooth and seriously soft. The scent is slightly medicinal and herbal and is not really overly appealing to me (although the more I use this cream the more I am getting used to it) but I know that could just be my issue as lots of people have told me that they love the scent and it even had my own husband asking me "what is that lovely smell". 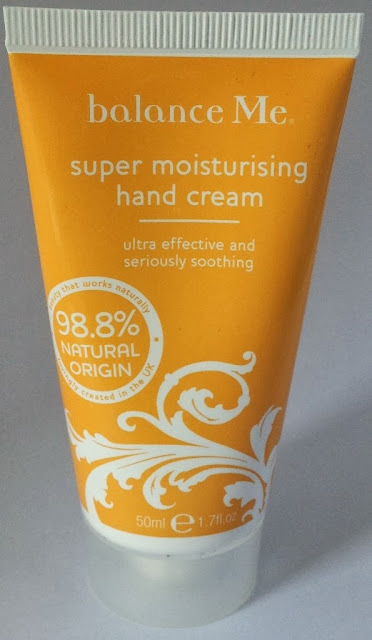 Super Moisturising Hand Cream is a very effective hand cream which I would recommend you give a go. *Balance Me promise no parabens, sulphates, petroleum, mineral oils, silicones, dea, plegs, poropylene glycol, artificial fragrances and colours. I am a big fan of balance Me hand creams. They are great for this time of year & I have one I leave in my car. Its so hydrating. I have really dry skin and found this cream to be fantastic especially during the colder weather. it has a really strong scent to it but it didn't irritate my skin at all which was good.